Jean-Sébastien Decaux joined JCDecaux Group in 1998. From 1998 to 2000, he worked as a Sales Manager responsible for the launch of advertising campaigns in supermarkets for JCDecaux in the UK. 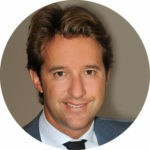 In 2001, following an agreement between IGP (the Du Chène de Vère family), Rizzoli Corriere della Sera, and JCDecaux, he started serving as Managing Director of IGPDecaux. In 2004, he takes over the responsibility for the Belgian and Luxemburg subsidiaries. In 2010, he is appointed as CEO for Southern Europe and then for Africa-Israel and successively became a Board Member of JCDecaux Group.